01182013_Becherer_IraqMedical028: Doctors of War: Casualties of War: Global News Portfolio: New Orleans based Photojournalist covering the Deep South and beyond. 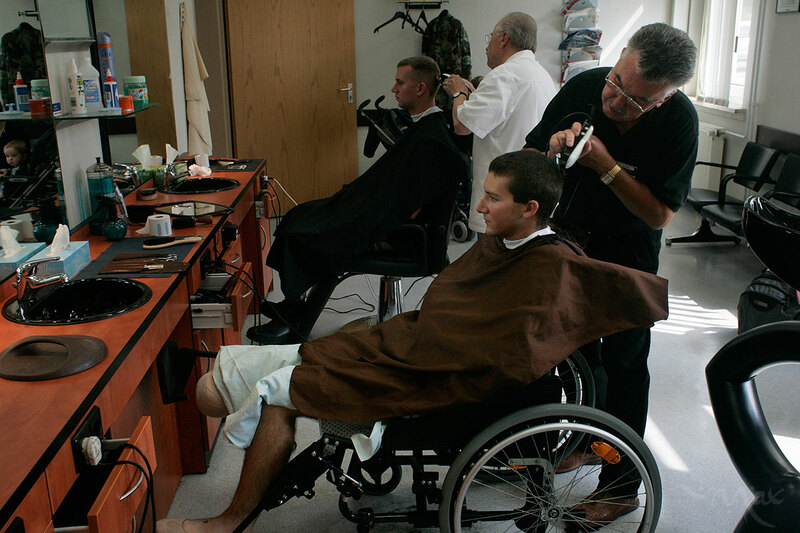 Four days after losing his leg from an improvised explosive device, Marine Lance Corporal Matthew Schilling gets a hair cut at the Landstuhl Regional Medical Center in Germany. After more stabilizing surgeries in Germany he will be flown to the United States where he will be fitted with a prosthetic limb.